The announcement was made after market hours yesterday, 11 February 2019. Meanwhile, the S&P BSE Sensex was up 12.47 points, or 0.03% to 36,407.50. On the BSE, 1.12 lakh shares were traded in the counter so far compared with average daily volumes of 10.87 lakh shares in the past two weeks. The stock had hit a high of Rs 707.15 and a low of Rs 698.50 so far during the day. The stock hit a 52-week high of Rs 734.35 on 6 February 2019. The stock hit a 52-week low of Rs 477.50 on 4 April 2018.  The Specified Undertaking of the United Trust of India (SUUTI) proposes to sell up to 5.07 crore (1.98%) equity shares of face value of Rs 2 each of Axis Bank today, 12 February 2019 (T day), (for non-retail investors only) and on 13 February 2019 (T+1 day) (for retail investors and non-retail investors who choose to carry forward their un-allotted bids) with an option to additionally sell 2.63 crore (1.02%) equity shares of the company (the oversubscription option). The offer will take place on a separate window of the stock exchanges on 12 February 2019 (T day) and 13 February 2019 (T+1day) from 9:15 a.m. to 3:30 p.m. (Indian Standard Time) on both days, as per details given below. The floor price for the offer shall be Rs 689.52 per equity share. As on 31 December 2018, SUUTI held 9.289% stake in Axis Bank. 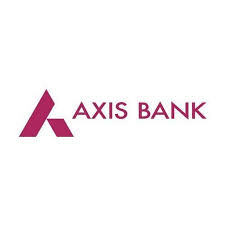 Axis Bank's net profit rose 131.38% to Rs 1680.85 crore on 26.66% increase in total income to Rs 18130.42 crore in Q3 December 2018 over Q3 December 2017.